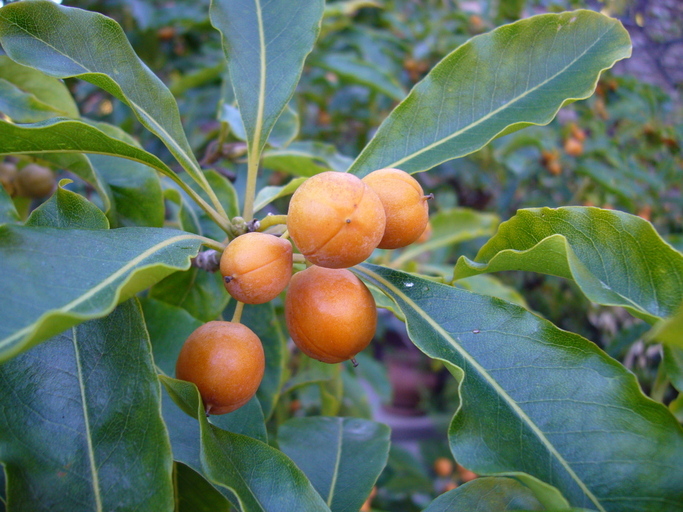 Pittosporum undulatum (Victorian box) is a shrub/tree (family Pittosporaceae) with white flowers and narrow wavy leaves found in the San Francisco Bay area, Channel Islands and coastal ranges of California. It is native to southeastern Australia. It favors forests, woodlands, grasslands, and scrub and chaparral habitat. It spreads via seeds and roots. The sticky seeds are dispersed by birds and mammals.